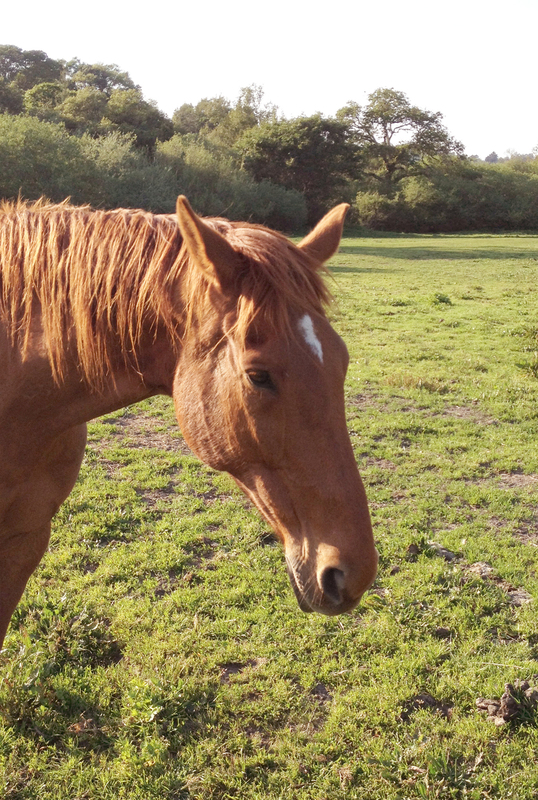 A magnificent Thoroughbred mare who achieved 4th level dressage before she burned out, Casey came to us in 2006. Now she's found a new role as lead mare of our herd. But her way of leadership is neither alpha nor obvious. See if you can observe how she leads. 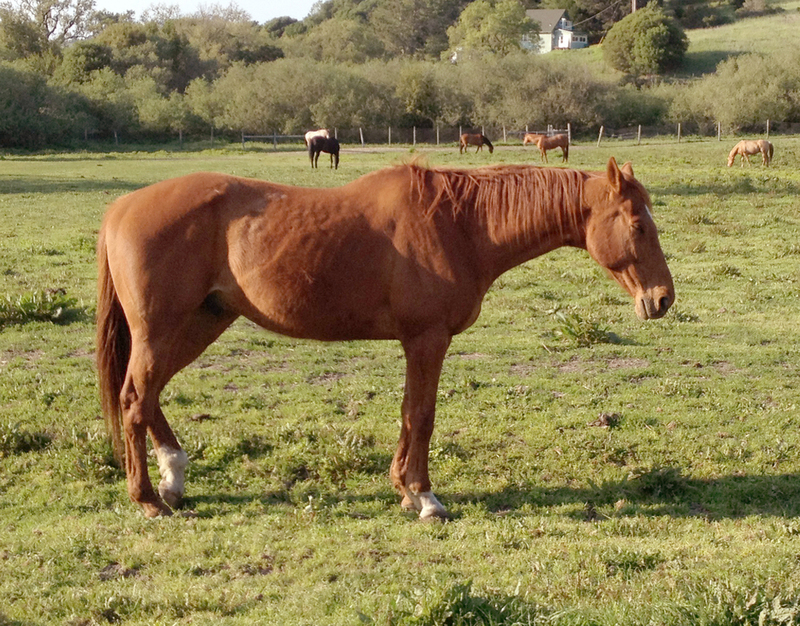 Casey is a red chestnut, with a white star and right from and left hind socks.